North America is the region that hosts some of the finest talents in the world when it comes to League of Legends but no matter what, every year, the NA LCS is the laughing stock of the herd, whether it’s during the regular season or international play. Why is this, though? Why do other regions look down on North America despite the fact that they have much the same talent level as the others? What puts them at a level such that other regions feel the justification to make fun of them? If you ever watch the major tournaments like the World Championship and the Mid-Season Invitational, you’ll see that most teams that place well are the teams from China and Korea. These teams are powerhouses like SK Telecom T1, KT Rolster, and Royal Never Give Up. Consistently, time and time again, these international powerhouses perform at a high calibre and always place well. They almost always make the playoffs of the international tournaments while the other teams from the LCS tend to never make it past the Group Stage. The one team that is an exception to this is Cloud9, the only North American team to consistently make the playoffs every single year thanks to a high synergy and high talent count, namely from players like Dennis “Svenskeren” Johnsen and Zachary “Sneaky” Scuderi. 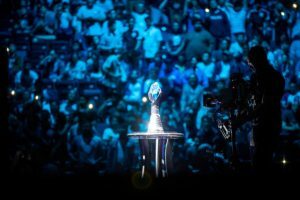 If you watched last year’s World Championship, Cloud9 was the only North American to make the playoffs again while the LCS’s projected top performer, Team Liquid, fell in the Groups Stage while 100 Thieves also had a shaky performance. To add to this, Cloud9 was forced to go through a Play-In Stage where they had to play against other teams before being granted a spot in the 2018 World Championship. It’s the same result every single year. Only one North American team has a shot at making it through and the last time more than one team made it past the Groups Stage was in 2014 when both TSM and C9 made it through. Therefore, despite audiences time and time again hoping that NA LCS make it through, they always let down their fans with mediocre performances. Adding on to the fact that they choke at the international competitions, they have some of the best talents in the world. 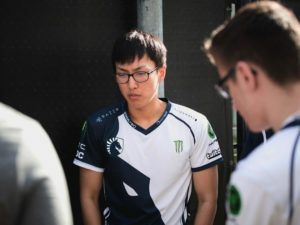 This year, they were granted some of the biggest names in Korea like Lee “Crown” Min-ho, Bae “Bang” Jun-sik, and Jo “CoreJJ” Yong-in but they’ve been putting up disappointing performances. The same can be said over the past years. Despite bringing in names like Bora “YellOwStaR” Kim, Kim “Olleh” Joo-sung, and Svenskeren, they’ve rarely utilised the talent to a point where they can put out the results needed in order to give a strong run at the tournaments that count. That doesn’t even include some of the incredible home-grown talent: Yillian “Doublelift” Peng, Sneaky, Marcus “Dyrus” Hill, all of whom have seen great success within the North America region. When the teams from the LCS face off against teams from the LEC, LCK, and LPL, chances are that the LCS will lose. There’s no explanation to it except that the other team usually plays more aggressively and consistently while the LCS teams make more mistakes overall. While each loss has its own unique explanation, they usually always lose to the LPL and LCK and rarely ever beat the EU LCS when it actually matters. For example, last year, despite making history for the LCS, Cloud9 was swept by Fnatic in the semifinals. Furthermore, they’ve almost always lost to the teams from the LCK and LPL and have rarely beat them. This is because they’re usually more mechanically sound and play more as a unit rather than individually to give them the edge. Yet again, the LCS has brought in even more mechanical talent with names like CoreJJ and Bang joining the field. However, there’s still the ridicule that they face from past years. Would it be possible for this year’s set of teams to turn everything around? We’ll just have to wait and see.